This week's film is the 1980 supernatural/sci-fi film, THE WATCHER IN THE WOODS starring Bette Davis. Does this childhood horror hold up to the test of time? With a production history that saw three different endings cut together from a possible 152, can the end result feel coherent under further examination? It's an odd era for the Disney studio and this film is one of the strangest. We dig into that AND the recent cancellation of DAREDEVIL! 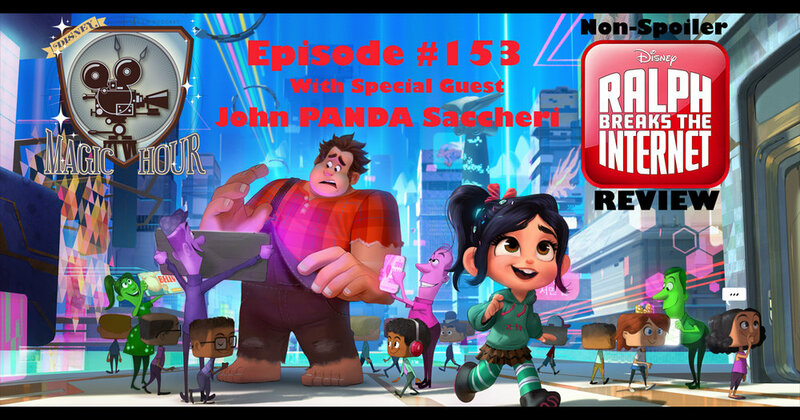 Special guest, John BIG FAT PANDA Saccheri joins us this week as Pete and Melyssa review Disney's latest animated release, RALPH BREAKS THE INTERNET which is the sequel to 2012's WRECK IT RALPH. With the first film being such a pleasant surprise filled with off the wall humor and emotional weight, can the sequel raise the stakes even more while keeping the heart at the center of the film? We will discuss that and the new THE LION KING "live action" teaser trailer!! This week the gang reviews the 1980 cult film MIDNIGHT MADNESS and say goodbye to Stan Lee, hello to TOY STORY 4 and welcome Pedro Pascal to THE MANDALORIAN. The main event is MIDNIGHT MADNESS though as the journey through the Disney library continues and we hit the 80's like a freight train. Does this cult flick hold up though? Is it just the nostalgia of youth viewings? The team breaks it down and question the limits one can take of the sophomoric humor of the time. The Disney Magic Hour is traveling through time and space to review the utterly bonkers 1979 THE BLACK HOLE. Take a trip with us and #NotNemo to beyond the realm of our reality into (checks notes) ...Hell? We will discuss the production of the film, the actors involved, where the story came from and how it all comes together as we ask the three questions we put to any film... 1) Does it hold up? 2) Does it achieve its moral message/what is the moral message? 3) What is the iconic shot? Why is Ernest Borgnine dressed as a lion? This film is three sheets to the wind weird so lets all jump in together and get nuts! 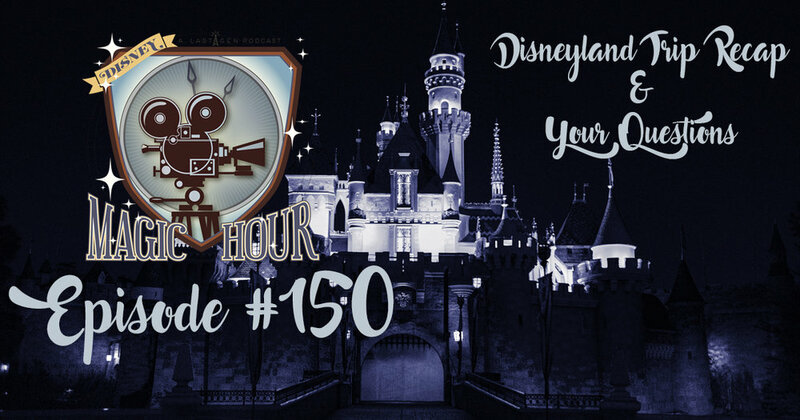 The show turns 150 episodes young this week as Pete and Melyssa return from their Disneyland trip with a stop at Knott's Scary Farm. Invariably you see the differences between Disneyland and Walt Disney World so we delve into that and experience FANTASMIC and more for the first time in the park that Walt walked. After that we dive into your questions that were posted on the Facebook group! !